Noah, age 7, loves the kid-friendly care at Riverwood, according to his mom, Megan. 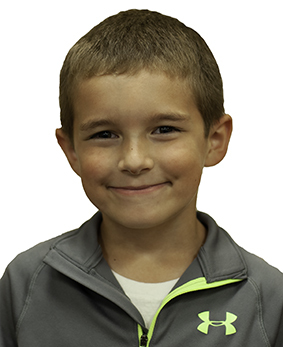 Noah began weekly occupational therapy sessions at Riverwood in early June 2018. Amanda Genz, an occupational therapist who specializes in pediatric care, helped him with strengthening his core muscles and working on auditory and visual processing skills to help him succeed in school in the fall. Megan said Noah loved the play-based therapy and looked forward to his “Amanda” days. Megan also praises the wonderful care from Noah’s primary care provider at Riverwood.